The most widespread shorebird in North America, the spotted sandpiper (Actitis macularis) can be found wherever there is fresh water and along the coasts. Breeding spotted sandpipers have a spotted white breast while the breast of non-breeding and juvenile members of this species is plain white. Although it obtains much of its invertebrate diet probing along the water’s edge, the spotted sandpiper will also glean insects off of foliage and lunge at airborne prey. Usually a solitary bird, this lone, non-breeding spotted sandpiper was foraging along Ash Creek (Lassen County CA). 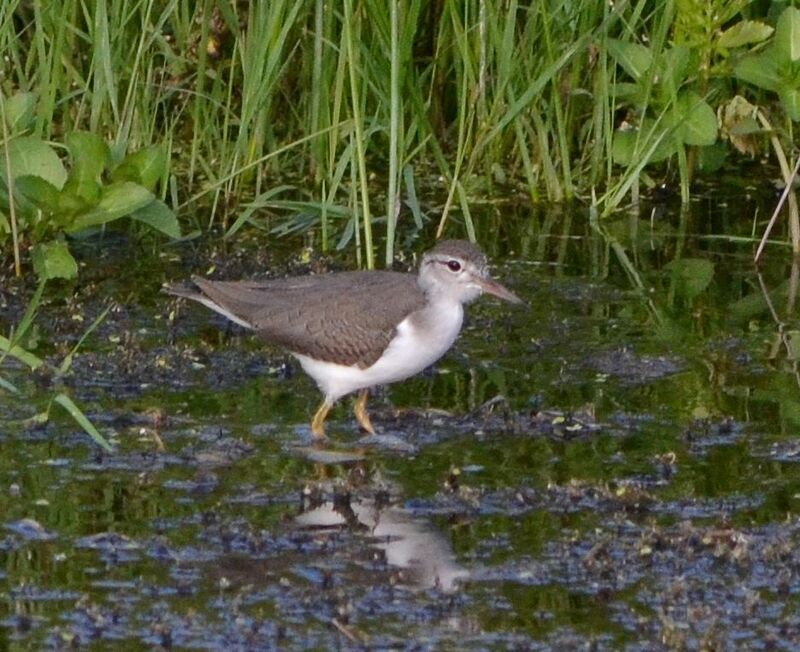 This entry was posted in Birds and tagged Actitis macularia, nature photography, spotted sandpiper. Bookmark the permalink.